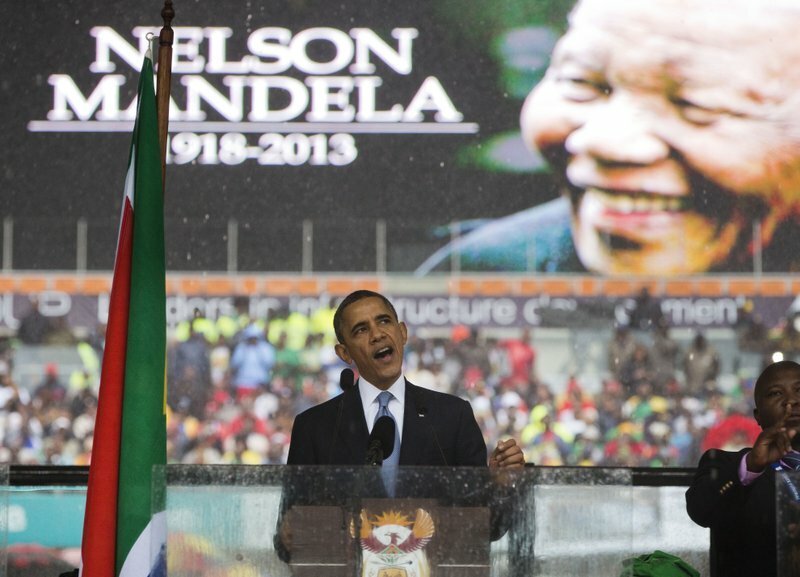 JOHANNESBURG (AP) — In a speech marking the 100th birthday of anti-apartheid leader Nelson Mandela, former U.S. President Barack Obama will urge youth around the world to work for human rights and fair societies, highlighting the late South African leader’s example of persevering in the struggle for democracy and equal rights for all. The speech on Tuesday, one of Obama’s most high-profile since leaving office, is meant to draw attention to values that today are under threat and to rally people in Africa and elsewhere to push for tolerance and justice. Obama is not expected to make any mention of his successor, President Donald Trump, said Ben Rhodes, Obama’s longtime aide and adviser. In delivering the annual Nelson Mandela Lecture before thousands of South Africans, Obama is expected to highlight how the Nobel Peace Prize winner, who was imprisoned for 27 years, kept up his campaign against what appeared to be insurmountable odds to end apartheid, South Africa’s harsh system of White minority rule. Instead of commenting on politics, Obama’s speech will draw on broader themes and his admiration for Mandela, whom America’s first black president saw as a mentor. Obama also will highlight one goal of his post-presidency, the promotion of young people as future leaders, Rhodes said. His visit to South Africa will launch his foundation’s leadership program in Africa. Two hundred young Africans are in Johannesburg for a five-day workshop to boost their leadership skills. Chosen from nearly 10,000 applications, the participants come from 44 countries, said Bernadette Meehan, the Obama Foundation’s executive director of international relations. The average age of the participants is 31 and they come from the private sector, government and civil society, she said. They are working in Africa in the fields of public health, food security, girls’ education, female empowerment, the LGBT movement, human rights, peacemaking, conflict resolution, renewable energy and entrepreneurship. The Obama Foundation plans to launch similar youth leadership programs in Asia, Europe and Latin America.